I'm adding this listing by request. Several people have asked for a way to send me a thank-you gift, and this seemed like the easiest way for you to do that! If you'd like to thank me for the time I put into helping you with my clear and concise tutorials and detailed, easy-to-follow patterns, and/or help to support me financially while I create new patterns and tutorials for you to enjoy, please fill in the amount you wish to donate, and add this listing to your shopping cart. Note: This item listing is for you to send a monetary gift to me (June). In return for your contribution, you will not receive a physical or digital product, but you will receive my gratitude and a virtual hug! Thank you so much for your generosity. 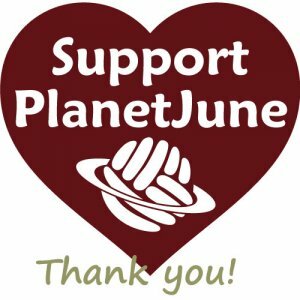 Your support helps me to continue to spend as much time as it takes to create the best patterns and helpful resources that I can (without filling PlanetJune with those annoying advertisements you see on so many other sites).